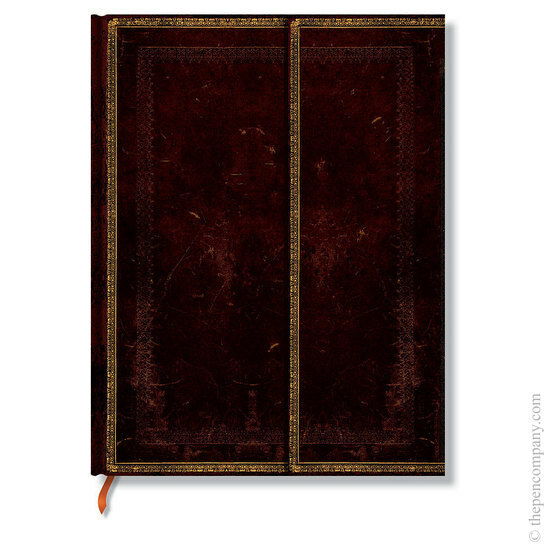 Printed reproductions of finely wrought Renaissance-style leather bindings. These intricately embellished journals reproduce the craft of delicate gold tooling which was brought to Europe via the flourishing trade routes with the East. The beauty of these antique books is brought into the present with careful use of embossing and foiling to provide a stunning reproduction of the original workmanship used to create the original pieces. The journals feature ribbon page markers, memento pouches and a magnetic wrap-around closure. I cannot recommend this product highly enough - I have written journals, books and plotted businesses, websites and a life style in them. Paper quality is quite excellent, especially for fountain pen, the outers are beautiful and they are one of my go to staples in life...a game changer!